Adventure ahead! 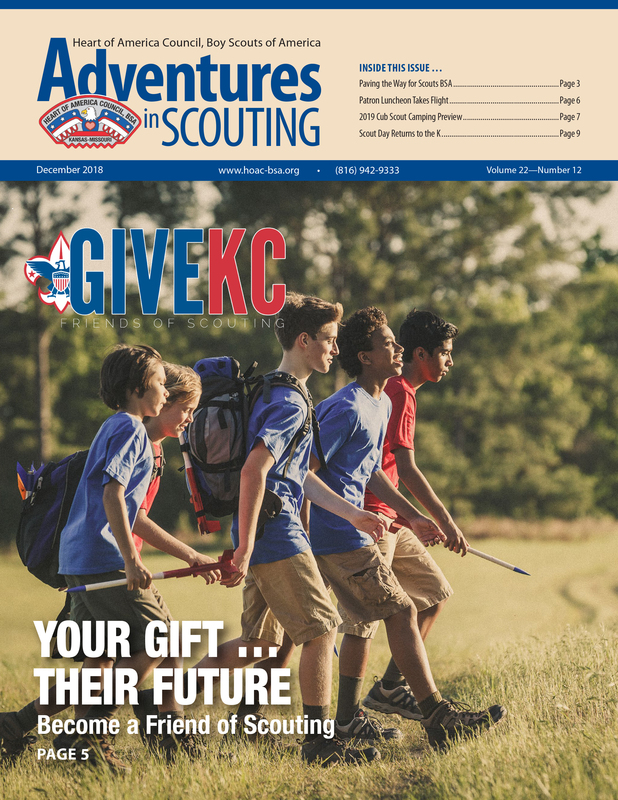 Get the latest Kansas City Scouting news with Adventures in Scouting. In our final edition of 2018, our December issue will get you prepared for the launch of Scouts BSA, learn how you can become a Friend of Scouting, our Patron Luncheon takes flight and get your first look at the 2019 Cub Scout camping season.